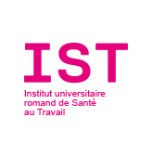 The Institute for Work and Health (IST) is affiliated to both the University of Lausanne and the University of Geneva. As a private foundation in its own right, its principal financial support comes from the cantons of Vaud and Geneva. IST’s missions are teaching, research, and expert assessment and advisory services, as well as the promotion of occupational health in general. IST has no official role in verification or inspection and cannot take action other than in an expert consultancy or advisory capacity. IST is the only institution of its size and type in Switzerland, and its specialists have already acquired national and international reputations in their respective disciplines. IST is also a World Health Organization Collaborating Centre in the field of occupational health.